Angle view: Star Bowl 2008/9. 150 mm diameter. Base Black Obsidian. 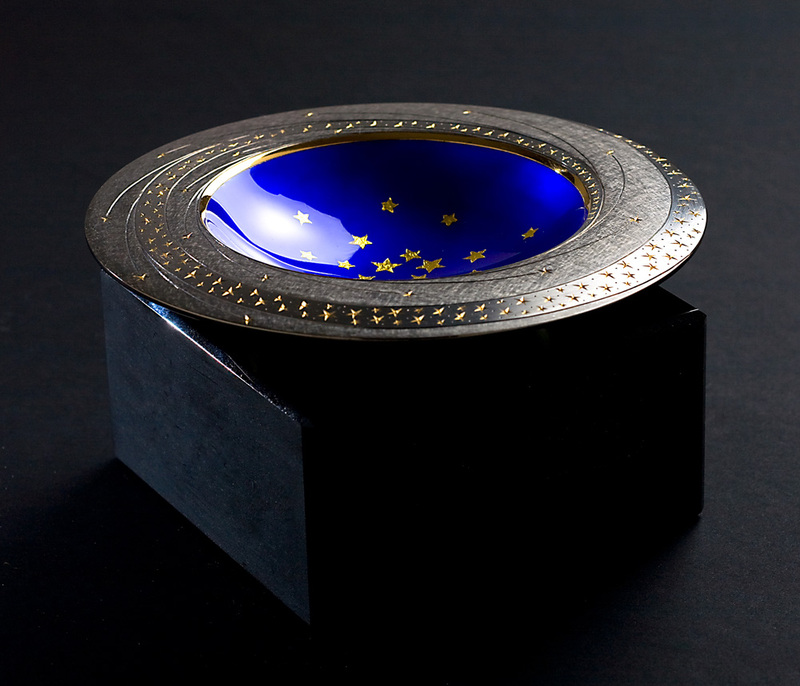 Bowl - Silver, yellow and black gilding, hand engraved, blue enamel, gold leaf stars. Photo : Simon Armitt.